Whether you’re coming home from a long day at work, or you’ve just spent the day chasing after the kids, everyone can use a night in to take a break from their hectic lives.. 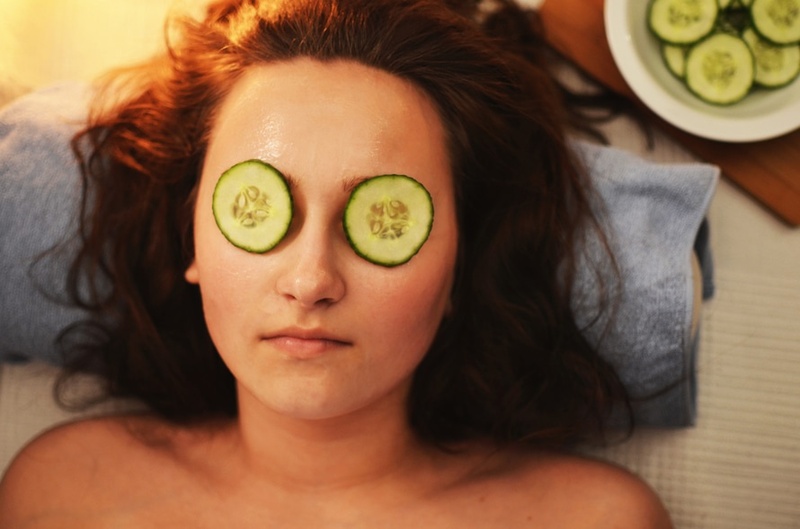 Sometimes it’s nice to stay home and partake of little in-house beauty treatments, so try some of these simple suggestions. Tired and puffy eyes? Brew yourself a nice pot of tea, then put the used tea bags on your eyes for 5-10 minutes while you sip and relax. It’s an easy, effective, and soothing way to refresh both yourself and your eyes.. There are few things as relaxing at the end of the day as a classic bubble bath. A few minutes in the tub can quickly clear the mind of stress and anxiety’ The best way to maximize the effects of your bath is to include a shower gel that will ease the senses—and Herbacin’s Herbal Shower Gel Camomile & Green Tea is the perfect option. Chamomile is known for its muscle-calming properties, as well as its ability to promote a great night’s sleep. It can’t get better than that! After your bath, be sure to retain the moisture in your skin by sealing it in with a good moisturizer. By locking in the extra hydration, you will be saving yourself from dry and flaky skin, and will be sliding into bed feeling spectacularly silky!